Radiant and bold. “Güeros” is a gem sculpted by the new brilliant generation of filmmakers approaching from Mexico! “Güeros” is a portrait of a confrontational generation we are not aware of, but allows us to discern their existence and purpose in time. 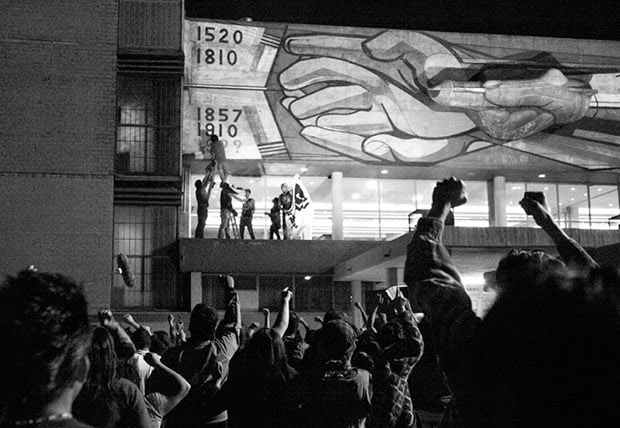 Director Alonso Ruizpalacios had something in mind: to transcend a larger-than-life film reflecting the soul, music, culture, and the effervescent youth of Mexico City in the form of a poetic love letter. 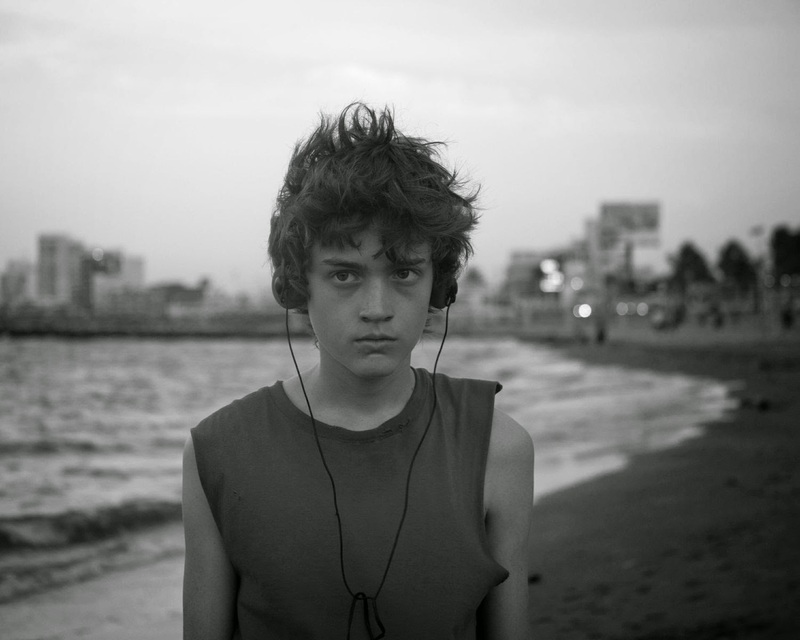 This unapologetic coming-of-age, hyper-realistic, inner-city, road movie has been satisfying audiences in festivals around the world, winning: Best First Feature Film at the 2014 Berlin International Film Festival, the New Auteurs Audience Award at AFI FEST 2014 in Los Angeles, the Havana Film Festival Grand Coral For Best First Work. 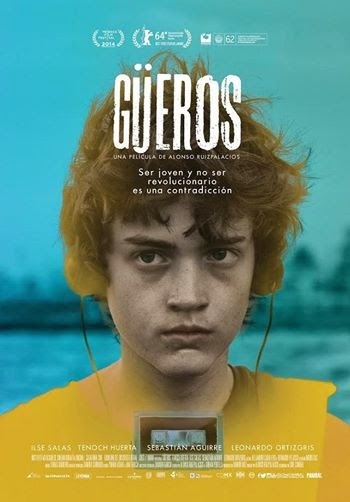 “Güeros” has been nominated for 12 Ariel Awards by the Mexican Academy, winning best picture. 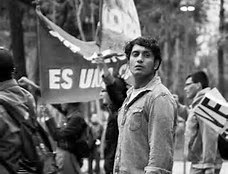 The director’s real inspiration was “Los Caifanes/The Outsiders” by Juan Ibañez (1966), one of the best independent films in Mexico's history. Set in 1999, a fair-skinned teenager named Tomás is sent by his tiresome widow mother from Veracruz to live with his dark-skinned big brother Sombra, played by Tenoch Huerta (“Deficit,” “Days of Grace”), to Mexico City. Sombra has depression and panic attacks, ironically, the doctor (director’s own cameo) recommends a vacation in Veracruz. Sombra’s roommate Santos (Leonardo Ortizgris) is also light-skinned and hates to be called "güero." Sombra and Santos are students at the U.N.A.M. (National Autonomous University of Mexico). The college is closed due to the student’s strike. As “outsiders,” they are questioning the actual ideology of the movement that is conflicting with their own ideas, goals, economy, and the country’s future. As they witness the anarchy on Campus, a sentiment of Nostalgia for their 'Alma Mater' is felt. The only remembrance little Tomás has of his father is an audiotape of a folk-rock singer Epigmenio Cruz that he listens obsessively on his walkman. The urban legend says: "Once Epigmenio Cruz made Bob Dylan cry." A series of unfortunate events push them in a quest for the dying, forgotten, and mythical singer. They travel from their old apartment building in the north of the city to the south where they face the dangers and paranoia of hostile environment - nothing that a humongous bottle of Cerveza "Caguama" can't cure. 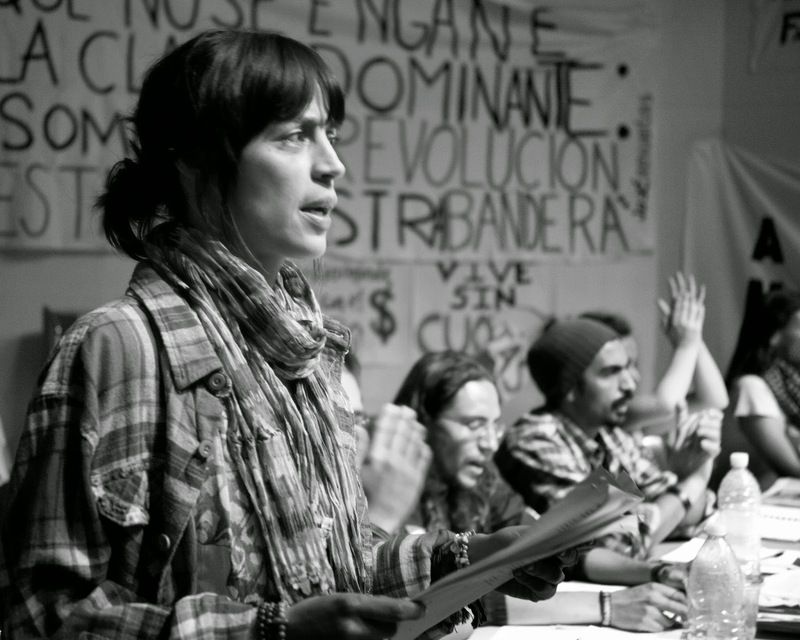 At the chaotic University, they meet Ana (Ilse Salas). She is the leader of the student movement and also a radio personality at the rebel underground radio station - The same station the guys were listening in their car earlier. She needs a break from the conflict and therefore joins them in their quest for Epigmenio. The quartet doesn't give up and continue their trip from the South of the City to the Chapultepec Zoo to get more clues. Then, to the Zocalo (Mexico's City Downtown), where they will have their "La Dolce Vita" moment at a fancy pool party, where they get in trouble again. They go from the Centro to their final destination, a Cantina located in the East-neighbor city of Texcoco. Inside, the TV-set has Juan Gabriel on singing "Hasta que te conocí/Until I Met You," which it plays along very well with the scene's climax. The performance of the charismatic actress Ilse Salas is dominant. Her fresh looks and big eyes remind us of the Italian actress Giulietta Masina (Fellini's lifetime partner) - ("Juliet of the Spirits," "The Nights of Cabiria," "La Strada"). Ana fights against the misogynist 'macho' men yelling at her they want to see her breast, not the leadership of a woman. 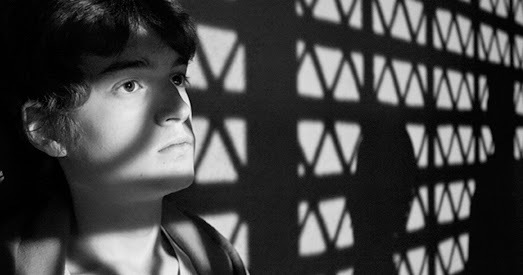 Young Tomás is played by talented new actor Sebastian Aguirre. He has the strength and the right heart to allow the audience to see the world from his own perspective. On the other hand, the character of Sombra takes too long to come to terms with the reality of the plot. One can understand his depression and traumas, but one or two good speeches of his are not enough to reach out to his full potential. 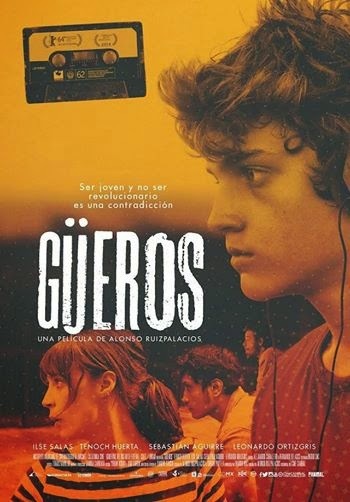 "Güeros" is a rare Mexican film with global reach, universal emotions, and likable characters. The nostalgic film's music, poetry, and lyrics hide a deeper meaning to the story. Film critic Jose Hermosillo, director Alonso Ruizpalacios at AFI FEST 2014. 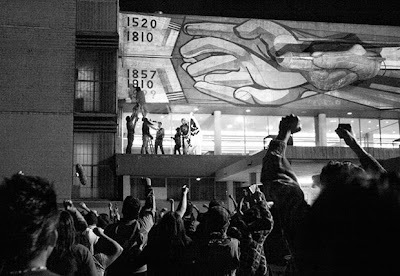 “Güeros” is not a political statement, it does not support the left or the right wing. Existentialism present in every life of those four great characters. They are focused on surviving and also in reaching an emotional fulfillment in a cosmopolitan city full of contrast. 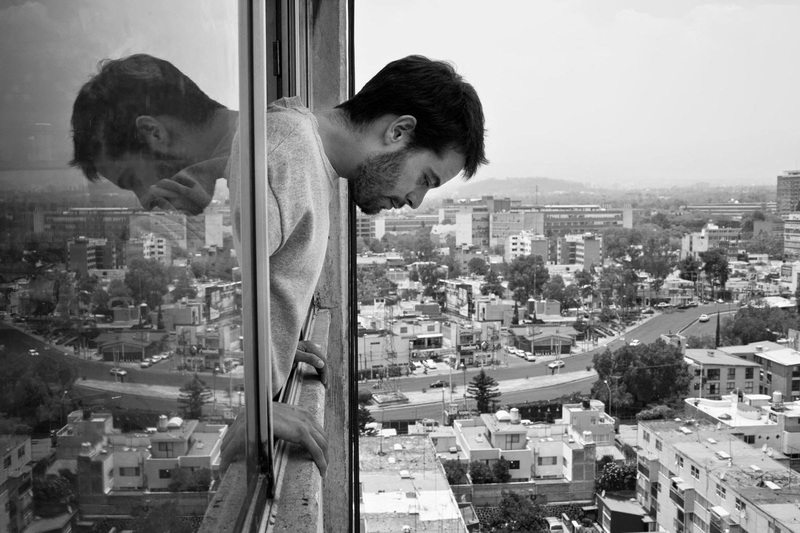 “Güeros” is part of a new and diverse Mexican Cinema in search of the global audience. In the past twelve years, Mexico's film production went from 12 to 120 movies a year, a 100% increase. Due to the awards in festivals around the World and the Oscars that Mexican directors have won in recent years, some publications wrote: “Hollywood loves Mexican directors, but hates Mexican movies.” That’s one of the main reasons why not many Mexican films get distributed in the USA. In a more optimistic arena, things may change in a 'Fair Play,' a trade in a market where diversity should be the ultimate goal. Photos courtesy of AFI Fest 2014 and Kino Lorbert Inc.